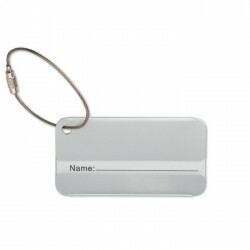 A fitting giveaway for travellers or parents with children, our line of corporate luggage tags and other printed travel accessories are a useful incentive that will appeal to kids, as well as to adults. 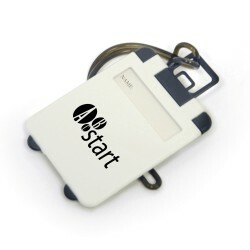 A handy keepsake for airline booking companies, it would make a great promotional item for any business gathering and conventions. 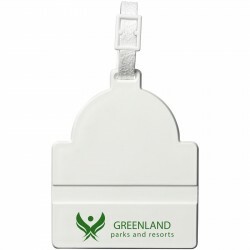 Handing out luggage tags imprinted with your organisation’s name and logo is not only a great way to show your appreciation to your customers, and it can also help convert potential leads into clients due to repeat visibility. 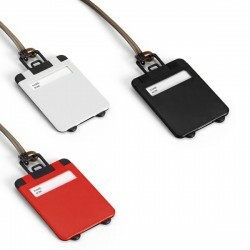 Sure, you can draw hundreds of people to your booth, but if you need to generate awareness far beyond those hundreds and far beyond the show, you can rely on personalised luggage tags to bring you the mileage your business deserves. 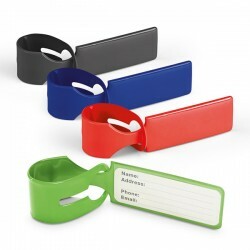 Available in a rainbow of colours, shapes and sizes, easily customise each one with a simple upload of your corporate logo. 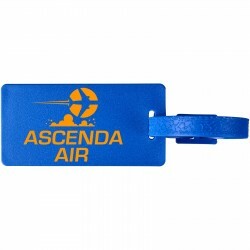 Whether you need to entice first-class airline passengers or people who are always on the move like travelling marketers and executive lawyers, or just anyone who frequently flies locally and abroad, we have the right one that will make a perfect gift for each specific market. 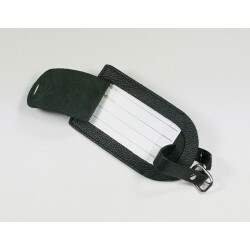 From a destination luggage tags, bag grip luggage identifiers, round or rectangular luggage tags, to any other type of bag tags you can use to label your kids rucksack or baggage, you can be sure to find exactly what you need. 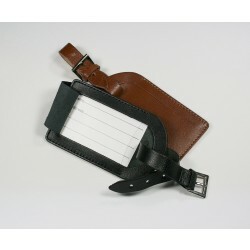 Very functional and quite handy for tracking and keeping tabs on suitcases, knapsacks, and purses, even your umbrellas and parasols, you can order them in bulk with different designs at little cost to you. 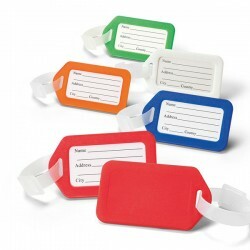 A suitable thank you gift to beachgoers, cruise ship passengers, or hotel seminar attendees, each baggage tags will contribute to generating brand exposure for your business and a budget-friendly way of reaching your advertising objective. 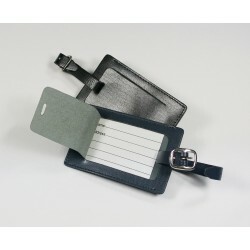 An effective giveaway item to generate buzz and attract attention to your company, whether its a leather luggage tag, animal-friendly faux leather luggage tag, or custom engraved metal luggage tag can help you communicate the message you need to convey directly to your customers. 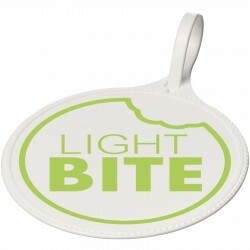 Let your custom branded bag tags get your marketing strategy to the place you want it to be. 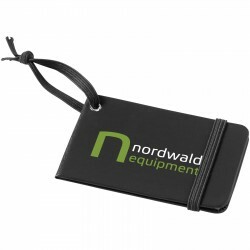 Perfect as a contest prize, customised luggage tags are a great example of promotional tools that can be given to friend and families instead of being thrown away, efficiently maximising your marketing investment with less of your efforts. 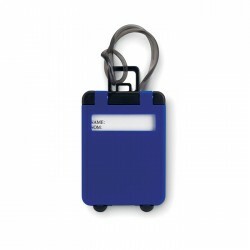 With different styles, materials, colours, and shapes to chose from, check out the rest of our luggage tags that will keep your employees and customers luggage safe. 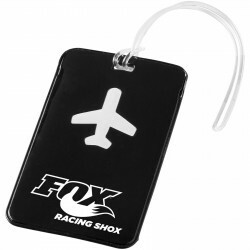 For more than 20 years, our team of experts have been in the “Business Gifts” industry and they know everything there is to know about providing you with bespoke promotional travel bag tags. Whether you need assistance about the design, pricing or delivery of your items, please feel free to get in touch with us by phone, email or live chat, and we will be more than happy to help. 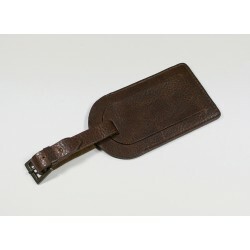 At Printkick, we are more than just your source of traditional luggage tags for corporate giveaways. With a vast range of products that we carry, you can customise any products of your liking that will suit your marketing. From lollipops to bags, to food and clothing, we have it! Check out our well categorised online catalogue and discover the endless potentials to aid you in generating sales for your business.